The news alert went off on my iPhone Thursday evening. For a second I was mildly pleased, but that soon passed. I have often written and spoken on the lunacy of former Gov. Mike Pence’s engagement on this issue that began in November of 2015. “Pence’s Syrian refugee ban” was never more than a political stunt. It was a move by a governor who had severely damaged his own brand earlier in 2015. He was having trouble gaining traction on his road to recovery from the Religious Freedom Restoration Act. His approval rating had tanked by 20 points in part due to his inability to admit wrongdoing there. 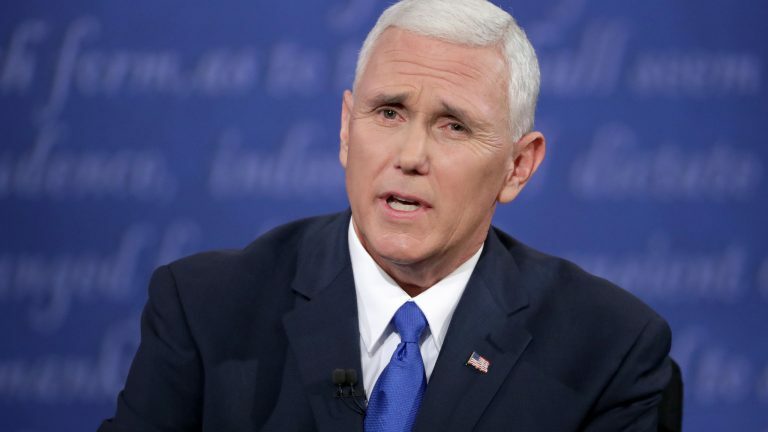 Unlike RFRA, the Syrian refugee ban was all Pence. He didn’t have the legislature as a partner on this one. He also didn’t have jurisdiction. Or evidence of a problem. Or a creative legal team capable of defending it in court. But mainly, he was incapable of admitting he was wrong. U.S. District Judge Tanya Walton Pratt issued a permanent injunction against the ban on Tuesday against Gov. Eric Holcomb and Jennifer Walthall, the secretary of the Indiana Family and Social Services Administration. Holcomb had commented during his campaign that he would not keep the ban in place if he were elected. That makes me curious why this permanent injunction was necessary. I would have advised our new governor to take whatever administrative action necessary to fulfill his commitment, while expressing his deepest regrets to Exodus Immigration, and its clients. It wasn’t Holcomb’s mistake, but he could have led on cleaning it up like he did on a few other things early in his administration. We now know that Pence doesn’t lead that way, ever. Former Gov. Mitch Daniels wrote an excellent column for the Washington Post in December titled “Is anyone ever wrong anymore?” In it, he quotes John Maynard Keynes with the saying “When I find I’m wrong, I change my mind. What do you do?” Pretty simple rule there. But it’s a rule that has almost completely left our politics today. Keynes died in 1946. The worst political move today is what we refer to as the “double down.” In the Trump White House, it is what Sarah Sanders Huckabee does at her daily press briefings. For example, when President Trump accused congressional Democrats of committing “treason” for refusing to applaud at his state of the union speech, his press office said he was “joking.” It wasn’t that he misspoke or that he was wrong, but that he was joking. When he suggests that arming teachers will scare future mass shooters from cowardly shooting up schools, and teachers from coast to coast object, the bad idea was “mischaracterized.” It wasn’t an idea that was poorly communicated or fundamentally problematic, it was someone else’s fault for finding fault in a thought that was just that horrible. Or heaven forbid that he was simply wrong. Being wrong really isn’t that big of a deal. People are wrong so often that it is hard to write about it. The wrongness of people is rarely newsworthy, even when that person writes columns. Some of my notable wrongs include predicting Trump would never be president. That error was then followed up by my wrongness that Trump would become more presidential over time. How silly would I sound in this space if I insisted either of those wrongs were right? I also remember thinking that Indianapolis’ old Bush Stadium would always be better than the newer Victory Field and that the city was crazy for thinking otherwise. Once upon a time, I thought that bike lanes and the Indianapolis Cultural Trail were nothing more than valueless conspiracies to clog up my daily commute. Wrong again. I offer another potential wrongness opportunity in that I believe Train was a lousy choice to be the headline act at the Indy 500 Carb Day party. That announcement was a real disappointment this week. I am prepared to admit I am wrong if necessary. And that preparation is a virtue. No politician, or political party, is always right. Having great resolve or implementing policies with great conviction has become confused with being uniformly correct. Is that the goal? Is having some godlike and blemish-free persona the key to political success today? We are constantly reminded about how the existence of our flawlessness is never, ever real. Let’s do each other a favor and acknowledge our human imperfection. On this particular observation, I am prepared to double down. And I am willing to do it forever. Cheap Trick should do a “Carb Day Concert”. They are from the Midwest, have played the back lot of Karma Records on Keystone, the Vogue, MSA, Deer Creek and probably the Fair & Convention Center. Checkered Flags are part of their branding. Why the eff haven’t Cheap Trick been a Carb Day Concert?